The death toll from Tropical Cyclone Idai is now at 40 after more bodies were recovered in Chimanimani and Chipinge, Manicaland province. 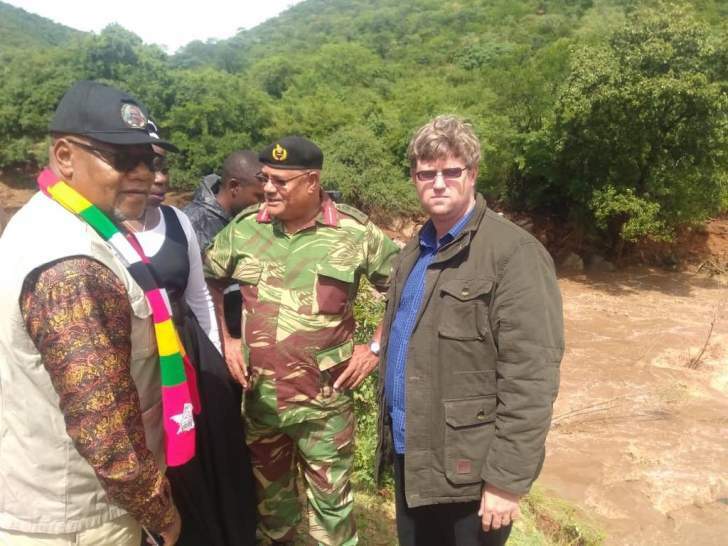 A high powered government delegation today visited Chimanimani and Chipinge as efforts to assist and rescue victims intensify. The Minister of Labour, Public Service and Social Welfare, Sekai Nzenza who was part of the delegation said with the death toll now at 40 and with continued infrastructure destruction, the government will certainly finds ways to attend to the situation. The Minister of Transport and Infrastructure Development, Joel Biggie Matiza said the government with the assistance of development partners will move in swiftly to make the roads passable and effectively attend to the situation in Chimanimani and Chipinge. Umvumvumvu Bridge along Chimanimani - Mutare road has been swept away this morning, increasing the number of big bridges that have collapsed to five and making the road to the interior of Chimanimani impassable. People in Chimanimani hailed the stance taken by the government, saying they are now in a desperate situation. The continued rains that have hit hard on Chipinge and Chimanimani are putting the lives of thousands of people in danger with an urgent intervention required. The Minister of Local Government, Public Works and National Housing July Moyo as well as the Minister of Lands, Agriculture and Rural Resettlement Rtd Air Chief Marshal Perrance Shiri are among the ministers on the ground.